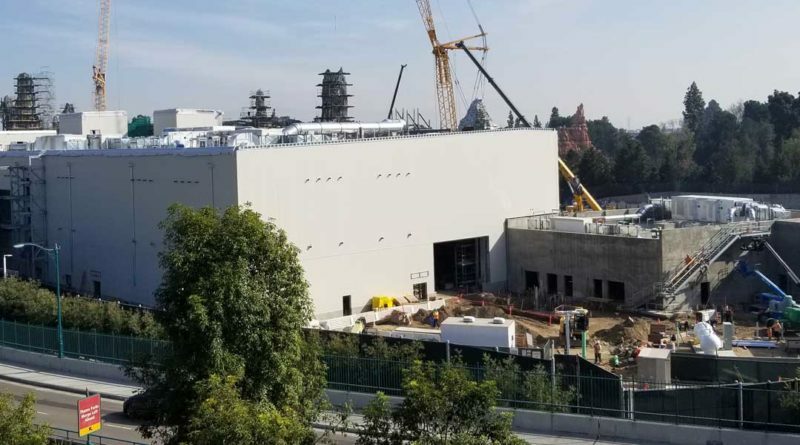 Starting on the left/north side. 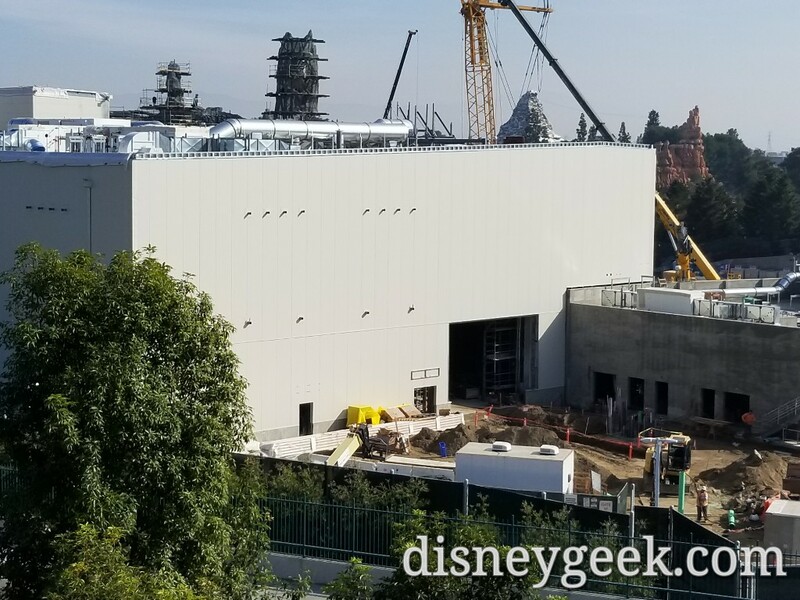 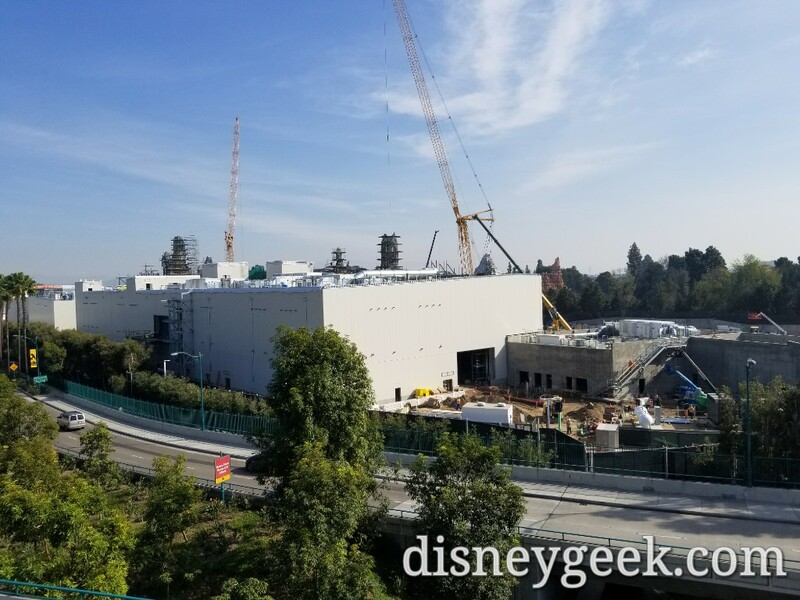 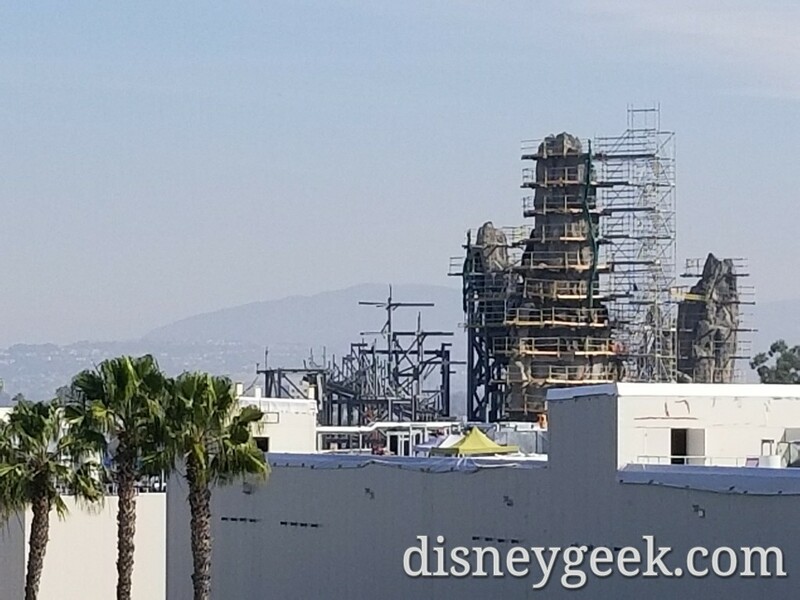 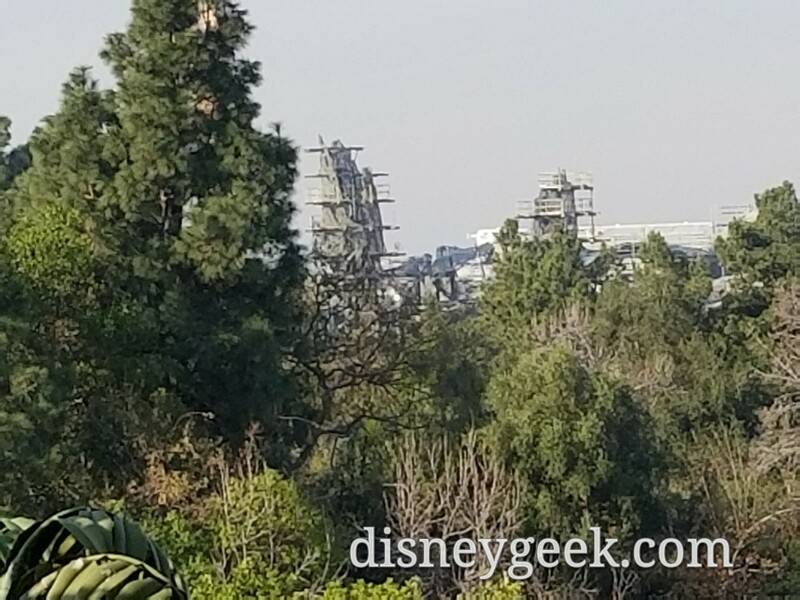 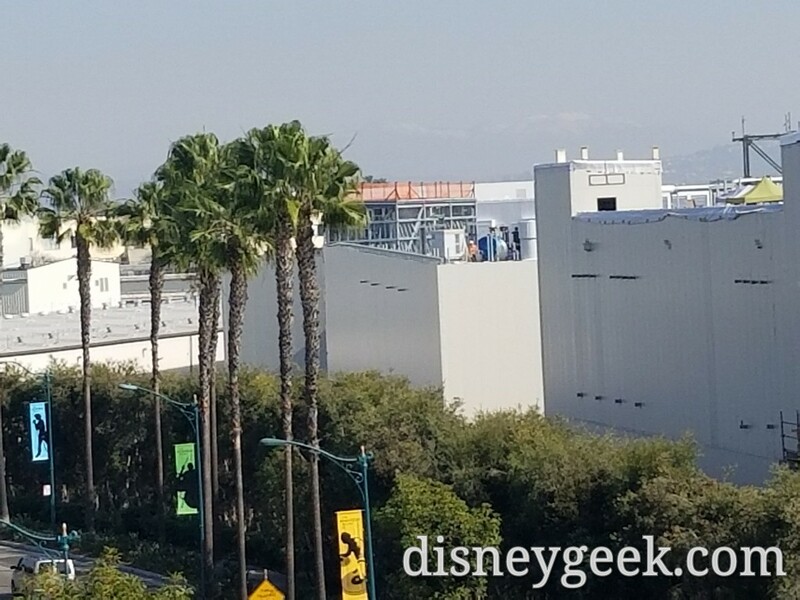 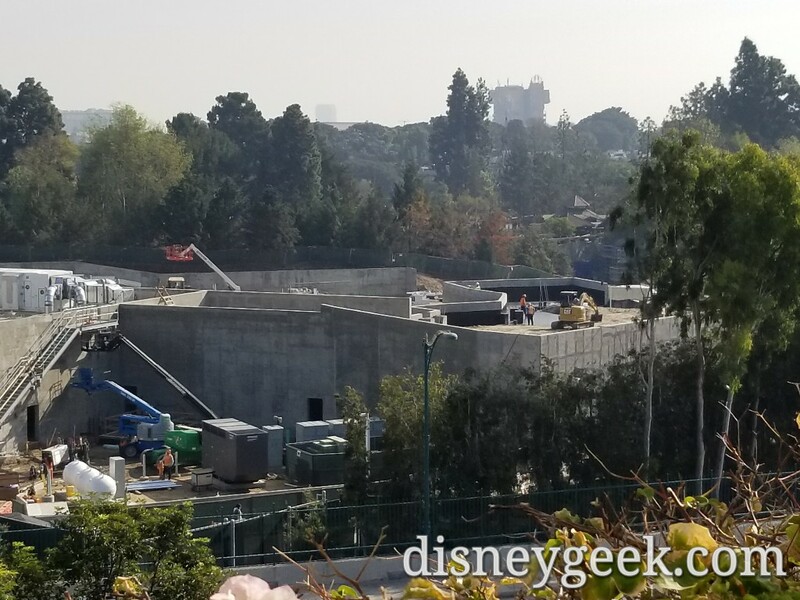 The exterior panels on the Millennium Falcon building are now up on the corner closest to the Battle Escape building. 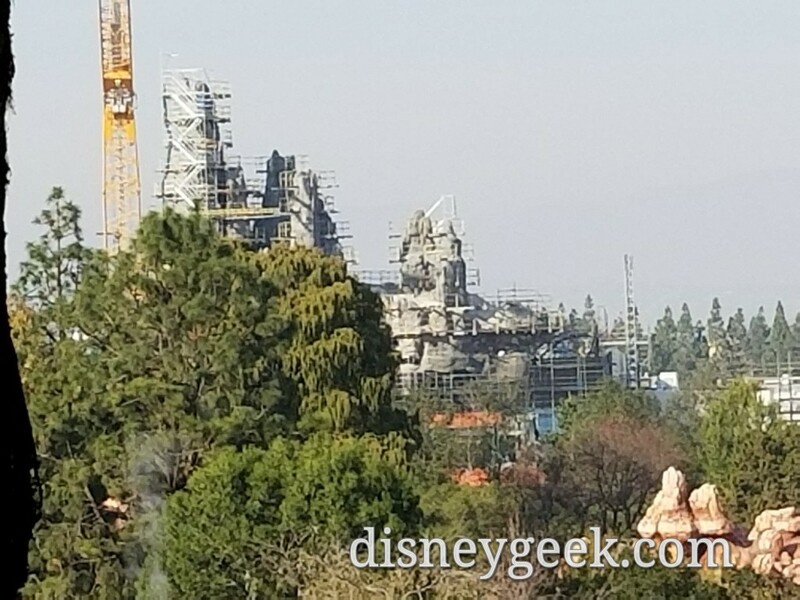 A closer look at the peaks. 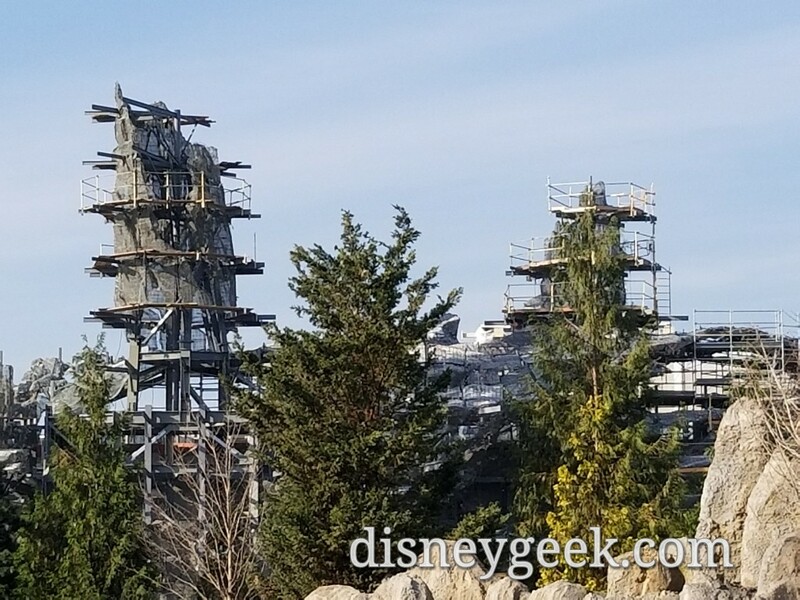 Continuing to move to the right the new peaks both have their wire mesh forms now. 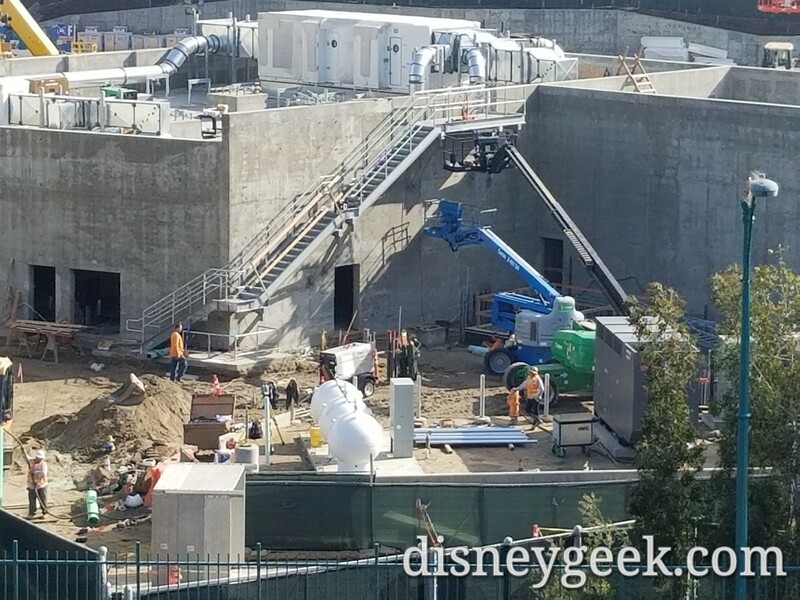 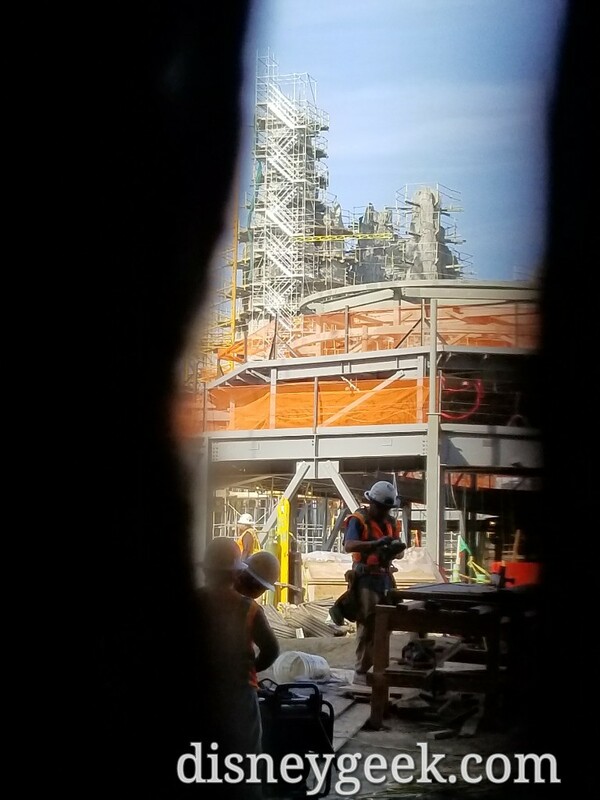 Not a lot of visible progress on the utility work behind the concrete building. 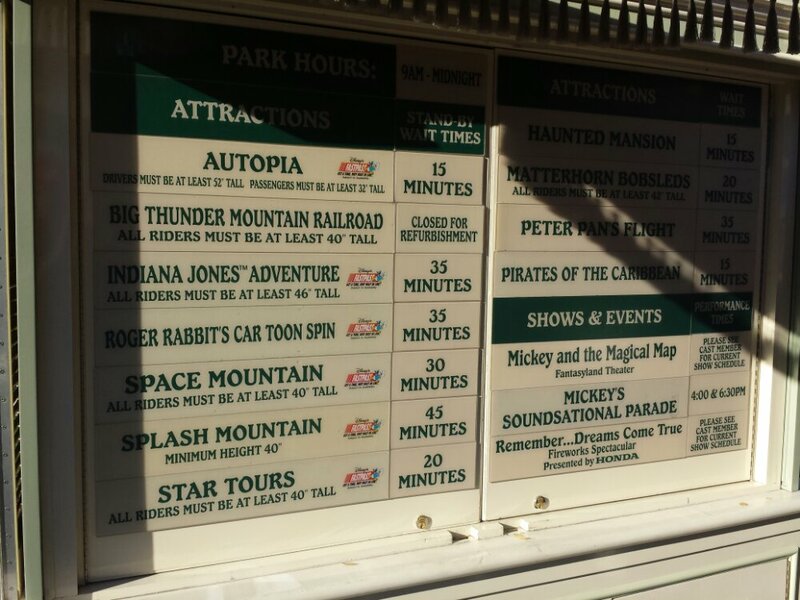 The back fill continues on the far right toward Critter Country. 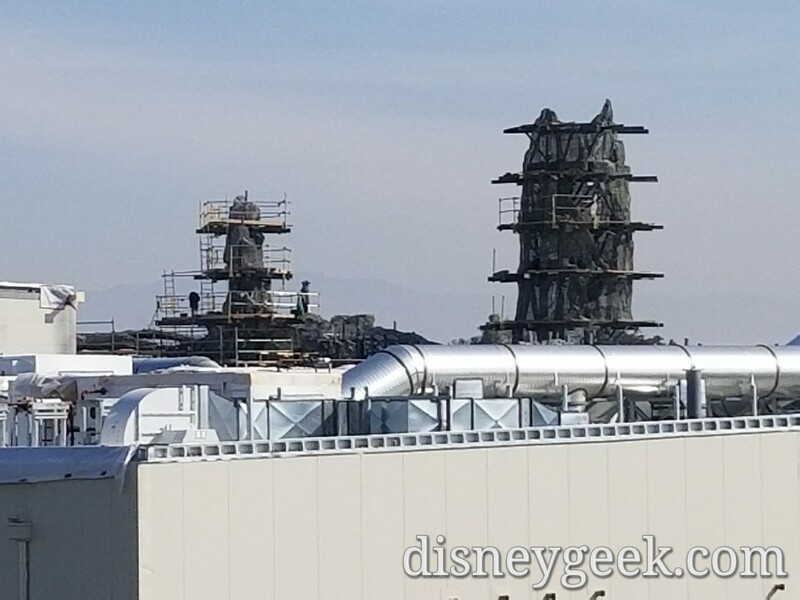 Looks like they will be covering some of the roof too. 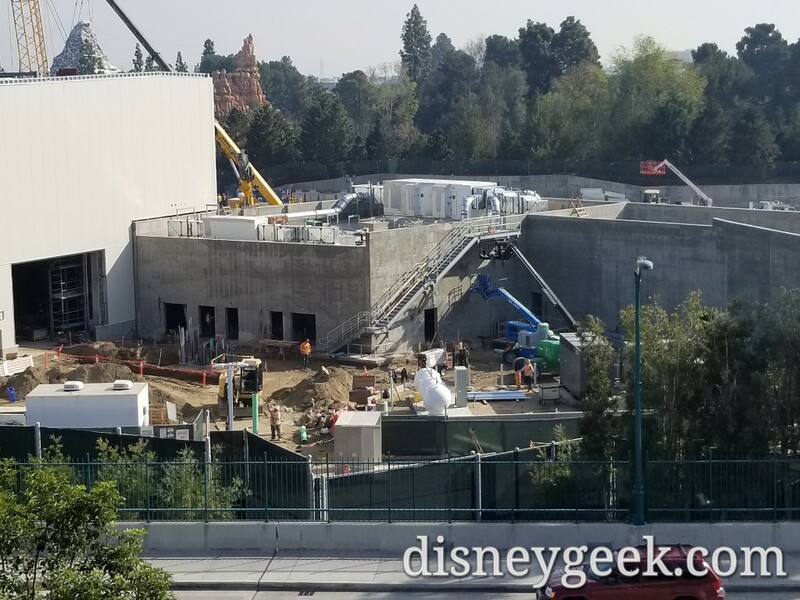 A closer look at the concrete building area. 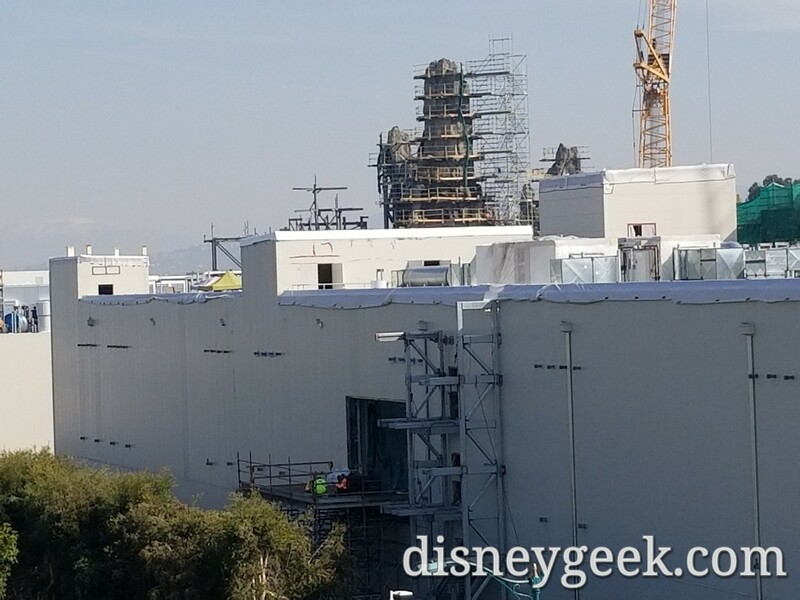 Hre you can see a team working on sealing the roof before more dirt is brought in. 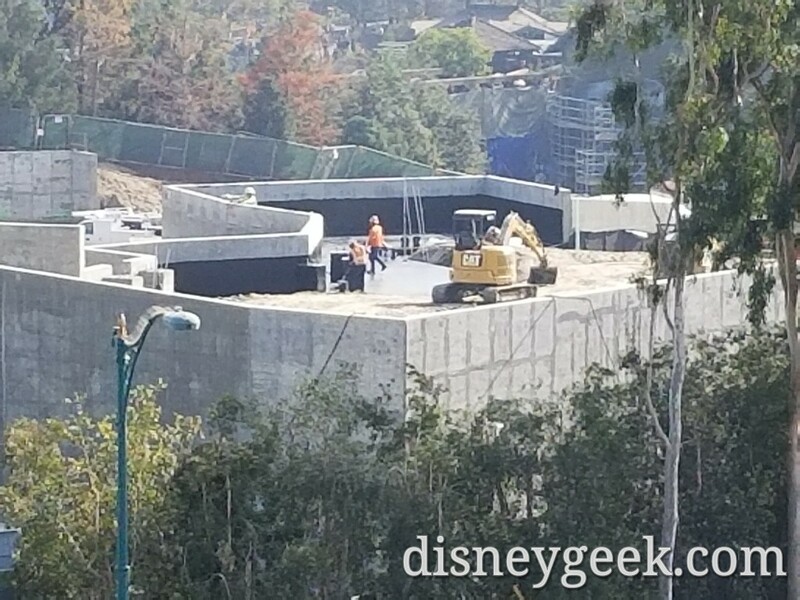 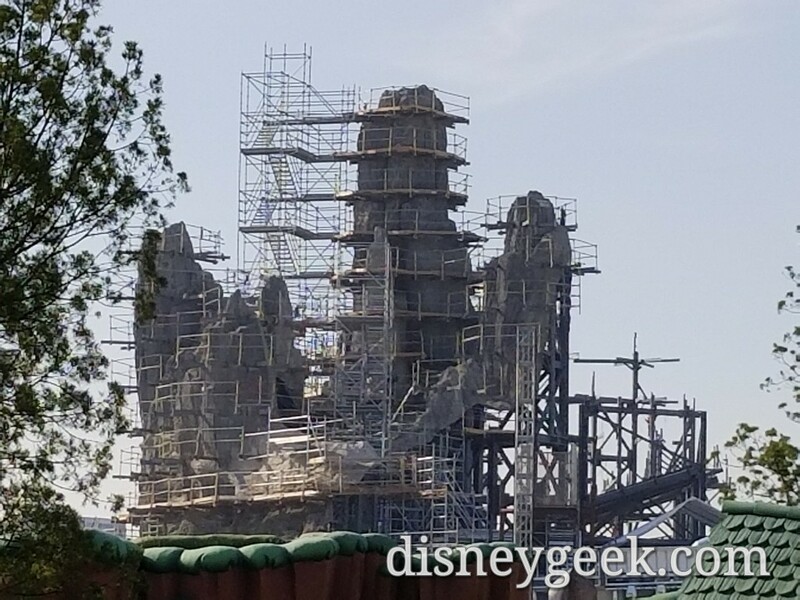 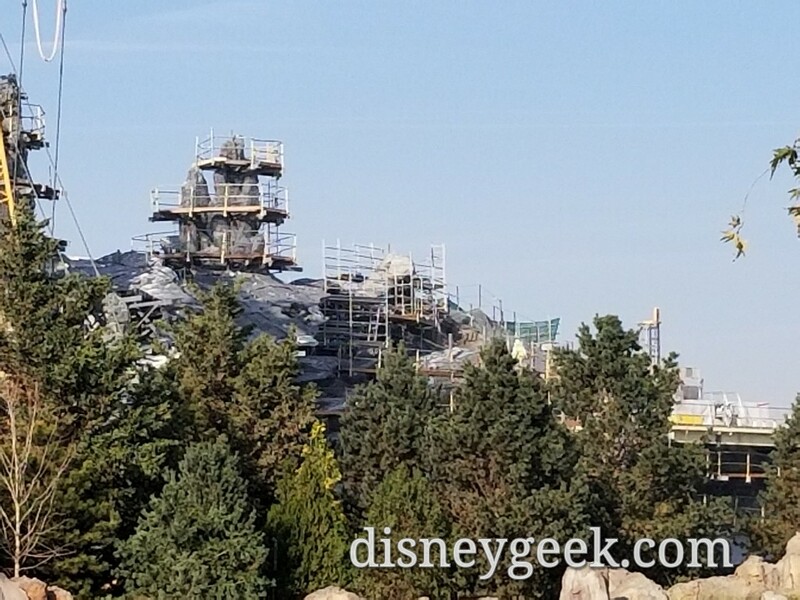 You can also see concrete pads where steel will connect for the support structure of the rockwork that will eventually hide this structure.